Southeast Kyoto, at the far southern end of the Higashiyama Mountains, is home to two of Kyoto’s greatest sights: the Shinto wonderland of Fushimi-Inari-Taisha Shrine and the Zen world of Tofuku-ji Temple and all the subtemples that surround it. 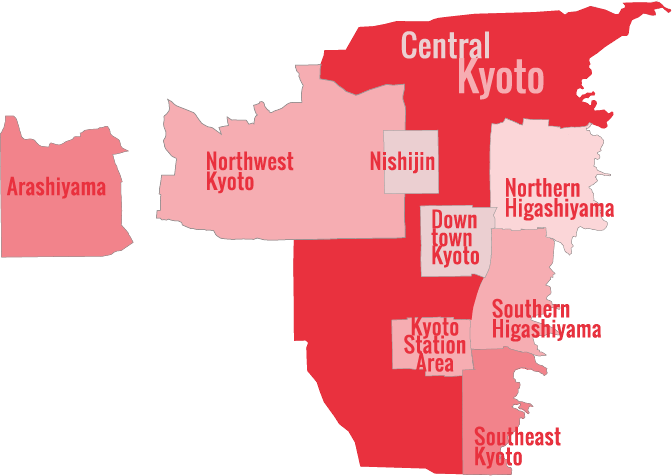 Southeast Kyoto, easily reached by train, bus, bicycle or even foot from Kyoto Station and downtown Kyoto is one of the city’s richest areas for sightseeing. 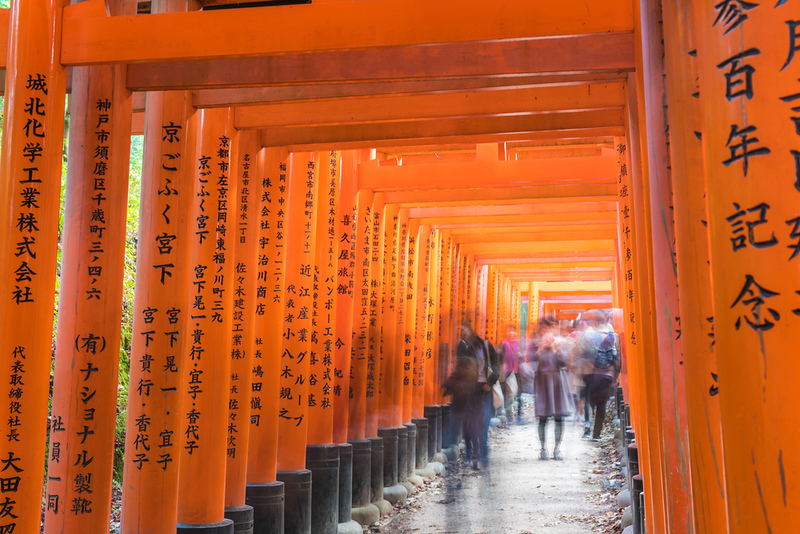 Fushimi-Inari-Taisha Shrine is arguably Kyoto’s single most impressive sight, and it’s also a fantastic place for a hike. Nearby Tofuku-ji Temple contains one of my favorite karesansui (Zen rock gardens) and is surrounded by sublime subtemples, each of which contains their own fine gardens. Best of all, outside of the fall foliage and shogatsu seasons, this area is usually pleasantly uncrowded. If you need a break while exploring the torii tunnels of Fushimi-Inari-Taisha Shrine, then hunt down this friendly little café on the north side of the shrine. By JR Train from Kyoto Station: Take a local on the JR Nara line and get off at Tofukuji Station for Tofuku-ji or Inari Station for Fushimi-Inari-Taisha. By Keihan Line: Take any train except a tokkyu (limited express) and get off at Tofukuji for Tofuku-ji Temple and Fushimi-Inari for Fushimi-Inari Taisha. By taxi: A taxi from Kyoto station will cost about Y1500. By bicycle: Cycle east on Shichijo-dori, turn south on Higashioji-dori and turn into the residential neighborhood just past the Japan Red Cross Kyoto First Hospital (Kyoto Dai-Ichi Sekijuji Byouin).